Get the FACEBOOK experience on Apple Watch ++ Read your Facebook newsfeed, like posts & give status updates ++ Including unique offline 2Go-mode ++ Please read full description before buying! 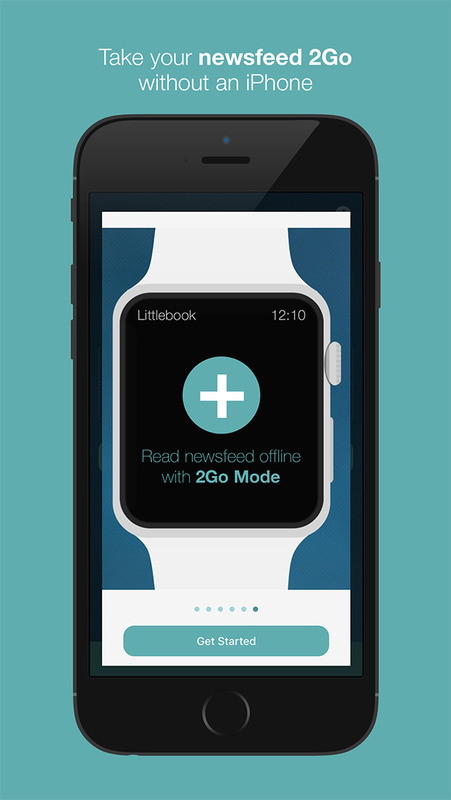 Littlebook is the first app to give you a feature-rich Facebook experience on your WATCH. – Sharing & reactions are not yet supported, but will be added soon! Please understand, that we tried our best to recreate the Facebook-App experience, but issues may still arise due to technical limitations. We work hard on improving supported features and resilience in future updates! Now go enjoy your friendships – right from your WATCH! Disclaimer: This is a third-party app. Littlebook is not part of, nor endorsed by Facebook Inc.